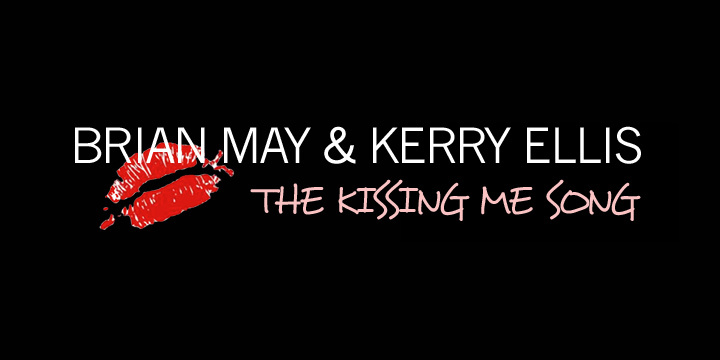 Queen's Brian May continues his collaboration with pop/theater singer Kerry Ellis with the new single The Kissing Me Song. The single will be released in June in conjunction with their Acoustic and By Candlelight Tour. While Brian is seen twice in the video, once live and once in caricature form, the main focus is submissions by fans showing them kissing in a variety of ways. May's undeniable guitar takes a solo at about the two-thirds point in the video.